The big boss man himself! 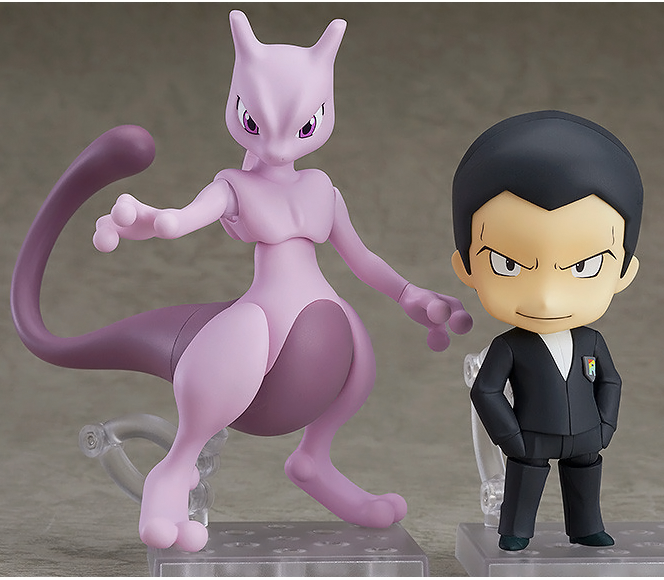 Good Smile has revealed Team Rocket leader Giovanni and his creation Mewtwo as the latest Pokemon Nendoroids! 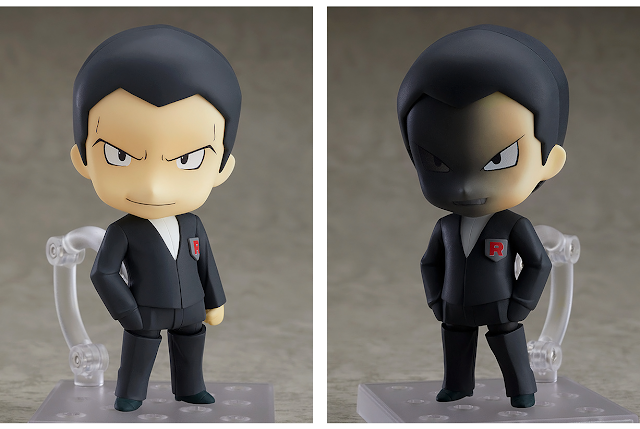 Giovanni comes with three face plates (standard expression, shadowed expression, realistic expression). 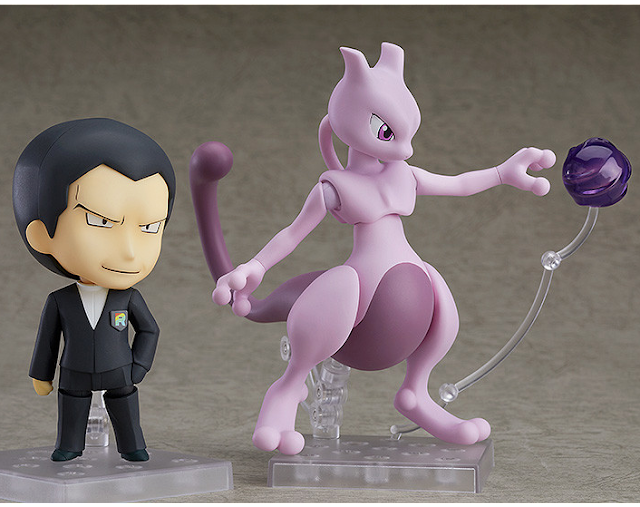 He also comes with a Team Rocket and Team Rainbow Rocket chest pocket. 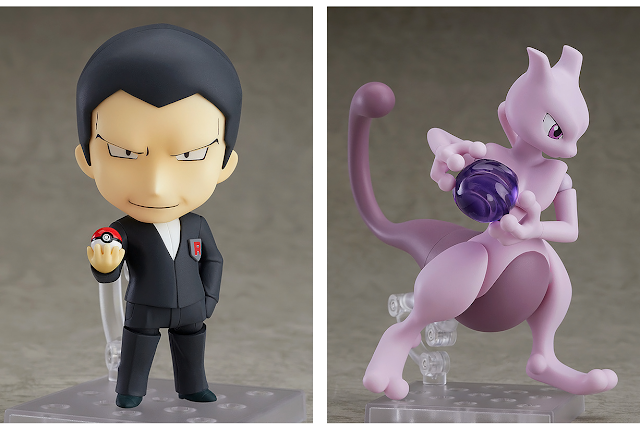 Mewtwo has a Psystrike attack and alternate arm parts. A pre-order bonus R logo base is available as a bonus when pre-ordering with Good Smile. A Beast Ball is the bonus when pre-ordering from the Pokemon Center.